i charge laughing - The Archive: "I don't have to show you any stinking badges." "I don't have to show you any stinking badges." Mr. Smith Goes to Washington is another feel-good Frank Capra movie starring Jimmy Stewart. This one is all about bringing the honor back to politics. This was fairly enjoyable, and Jimmy Stewart does that everyman thing he does best, though the movie is pretty heavy-handed and cheesey. The Treasure of the Sierra Madre, on the other hand, was excellent. It is basically a story about the corrupting power of greed, and Humphrey Bogart gives a masterful performance as a man who loses his mind to paranoia and greed. John Huston is one of Hollywood's greatest directors. It Happened One Night is perhaps my least favorite movie I have seen from this list. Made in 1934, the film is sort of the precursor to countless romantic comedies with similar plots. Clark Gable and Claudette Colbert are fun to watch, but I think that the humor is just dated, since I did not find it very funny at all. The Best Years of Our Lives was a movie I did not expect to like, but I was pleasantly surprised. The plot summary of the 1946 post-war film sounded like it would be a bit to schlocky for me ("Three WWII veterans return home to small-town America to discover that they and their families have been irreparably changed"). But it was very well-acted, and it includes several very powerful scenes. Harold Russell gives a standout performance as a double-amputee vet, which he was in real-life. 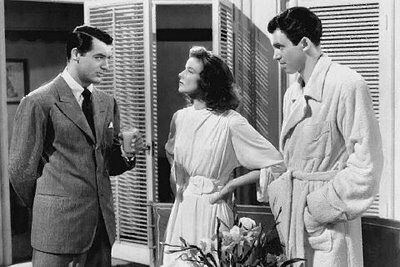 The Philadelphia Story has one of those miracle casts that any film buff just eats up: Jimmy Stewart, Cary Grant, and Katharine Hepburn. The story is the typical romantic comedy plot of the love triangle, but these three comic geniuses make the film highly entertaining. Katharine Hepburn is one of my favorite actresses of all time, and her sense of comic timing is impeccable. The Deer Hunter -- now this is a disturbing film, depicting the psychological damage caused by the Vietnam War. The performances by Robert DeNiro, Christopher Walken, and Meryl Streep, are beyond reproach. The movie contains moments of nerve-wracking intensity, and since Russian Roulette features prominently, I found myself holding my breath and clutching the sofa many times. Wow. You sure are burning through that list pretty quickly. By the way... I just saw Pirates II last night. Ack! Don't want to ruin anything for people who haven't watched it, but 2 and a half hours for that ending. Uggg. Have you seen it yet Dub? 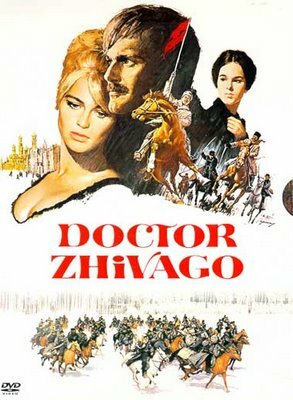 I have a brick sized double VHS of Dr. Zhivago under my TV right now. And the "badges" line makes me think of the Weird Al movie "UHF" and the crazy hispanic pet show host who says "badgers? Badgers? We don't need no stinking badgers!" JC-- yeah, I saw it. While I think I still liked it (a little), there were some long stretches during which I was enormously bored. Even during the non-stop action scenes, it was yawn-city. The movie could have been 45 minutes shorter with no loss. Max, have you watched it, or is it just under your tv? 2) and in Treasure, the guy says, "We don't need no badges. 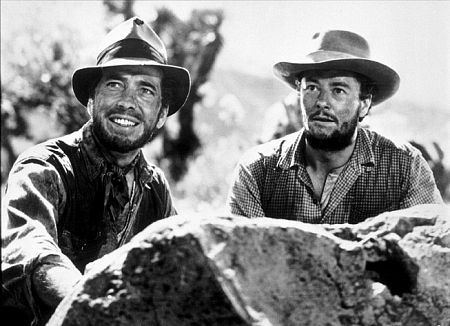 I don't have to show you any stinking badges." Wait. No one ever says "Play it again, Sam?" What's the line, then? I like the Deer Hunter. Classy movie. I also like Platoon. woah. Jason, I have not read the novel, alas. In Casablanca, the line is "Play it once, Sam, for old time's sake . . . Play it, Sam." It's still under my TV, beating like a hideous heart, gnawing at my sanity. I want to see The Deer Hunter, but I feel like I should only watch it under special circumstances. Like, after 24 hours without sleep, sitting in a dirty concrete bunker, wearing a filthy bandanna, with an unlit cigar clenched between my teeth. Okay, that settles it. Deer Hunter party next week sometime. We can watch the movie, have a Russian Roulette tourney and...hunt deer? Who has the filthiest bunker/basement? Mine's pretty nasty, but I'd hate to have everybody catch cholera. "I'm taking a ride with my best friend"
"He is the reason I believe in God"